There is a lot more to Botox than the simple procedure embraced by celebrities – but why do 15% of people who have had line and wrinkle smoothing treatments want to keep quiet? 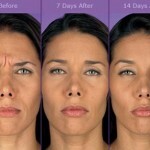 Before we try to understand why, it is important to know exactly what Botox is. 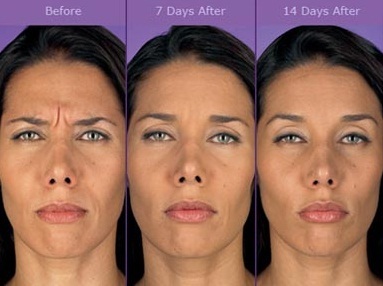 Botox is a brand, not the procedure, and is one of many line and wrinkle smoothing treatments. Botox or “OnabotulinumtoxinA” comes from the toxin Botulinum type A and is used in a number of medical procedures and for line and wrinkle smoothing treatment. Botulinum toxin is produced by the bacterium, Clostridium Botulinum; a bacterium which is commonly found in soil, but it can also be found in improperly preserved homemade foods, severely dented aluminium cans, and honey. Clostridium Botulinum produces 8 different types of toxins named type A-H.
You are as likely to have an allergic reaction to hair dye as you are to Botulinum toxin. Many possible side effects are temporary and will last as long as the toxin remains in your system, around 2-3 months. Injecting too high a dose or the incorrect injection of Botulinum toxin can cause Botulism, a rare very disease. The possible risks can be reduced by researching correctly and visiting a certified cosmetic surgeon. What do we know about the toxin used in line and wrinkle smoothing procedures? The toxin was approved by the FDA for cosmetic use in 1989. One gram of Botulinum toxin type A is all that is required to make the global supply of Botox for a year. Botulinum toxin type A has been used for medical purposes since the 1950s and in much higher quantities than in cosmetic procedures. From 1989 to 2003, the FDA reported 28 deaths related the Botulinum type A, none of which were a result of cosmetic use. Botulinum toxin type A is a temporary but very successful medicine for suffers of muscle spasms, eye twitches, excessive sweating, migraines and other afflictions. We’ve all seen pictures of usually glamorous celebrities when they are looking less than perfect following a procedure, but it is not the actual treatment itself that attracts the media’s attention, it’s when celebs take treatments a step too far, resulting in the frozen look that is all too often associated with the procedure. 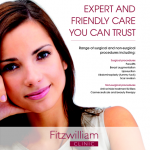 Research is hugely important before booking any cosmetic procedure, surgical or non-surgical. Celebrities have made line and wrinkle treatments such as Botox high profile but what you must remember is for anyone who wants the best results, they should always go to a qualified and skilled practitioner. Make sure you ask questions and address any concerns you may have with your injector to ensure you are well-informed before receiving treatment. Ensure you see the sealed container before you are treated and clarify what brand of Botulinum toxin you are receiving. Botox is not a cry for younger-looking features or a sign of vanity; it is another method, like applying makeup and dyeing your hair, to enhance your appearance. Used correctly and administered by a skilled and qualified practitioner, it is a very effective treatment at reducing the appearance of lines and wrinkles resulting in a more youthful appearance. It is important to make the right decision for you, consult a qualified professional and ask plenty of questions take advice and recommendations from others and do your research.